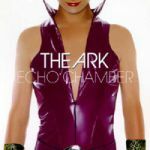 Echo-echo-echo!<br><br>I was really impressed by this song and performance of The Ark as soon as I watched the video on MTV. Withing two weeks tt rocketed 16-> to the top spot of my charts on August 11, 2001. Mal wieder eine echte Glam-Rock-Granate von den Jungs aus Schweden. Besonders der herrlich kitschige Refrain ist klasse!